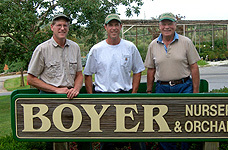 ABOUT « Boyer Nurseries and Orchards, Inc. ABOUT – Boyer Nurseries and Orchards, Inc.
Boyer Nurseries & Orchards, Inc. has been a family owned and operated business since 1900, when W.W. Boyer recognized the need for a local distributor for quality fruit trees for area growers. Since those early days, the nursery has grown to provide the homeowner with a wide selection of quality shrubs, evergreens, flowering plants, trees and small fruits. Our Garden Center houses a complete line of chemicals, reference books, statuary, orchard supplies, and unusual quality gardening implements thus enabling the customer to purchase everything they need in one visit! 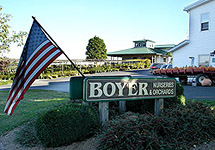 Boyer Nurseries & Orchards, Inc. is unique in this area in that the customer has the option of purchasing nursery stock either balled and burlapped, in containers or bareroot at a substantial savings. The sales staff is knowledgeable and happy to assist you whether you want to plant a backyard orchard or landscape your home. To ensure satisfaction, Boyers suggests that you measure your designated planting areas, determine exposures, and if your soil is clay, shale, etc. It is helpful to know if the desired area is in a low lying, or wet spot. Also available are mulch, peat, and potting soil. Nestled next to scenic South Mountain and surrounded by acres of fruit trees, Boyer Nurseries & Orchards, Inc. would like to invite you to spend an enjoyable day with them exploring the nursery with its hundreds of varieties of flowering shrubs, evergreens, trees, and perennials. Fruit season begins mid-to-end of June with pick-your-own sweet cherries and blueberries and in the fall pick-your-own apples. 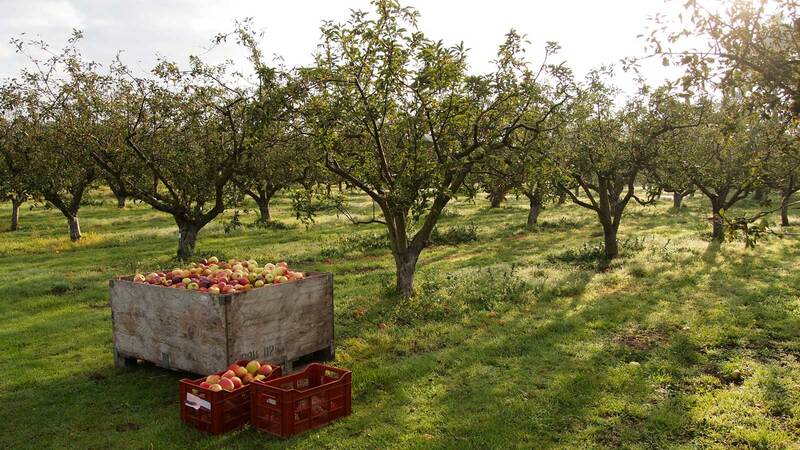 Apricots, plums, peaches, pears and over 20 varieties of apples follow suit. The Boyers Fruit Market also offers fresh vegetables, melons, jams, jellies, honey and local pottery. Can’t come to us? 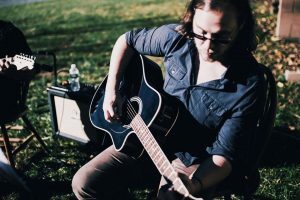 Boyers now has two off-site markets. We’re at the Gettysburg Transit Center on Thursdays from 2 p.m. to 6 p.m. and Saturdays 8:00 a.m. – 1 p.m. Call us for details. What to do with all that great fruit? Boyers has a cookbook “From Tree to Table” featuring a century’s worth of tempting recipes to enjoy with your fruit purchases. Click here for a printable map!